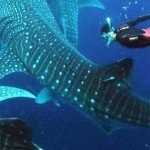 Believed or not swimming with the whale sharks is a healthy activity for you! This summer season is getting amazing Cancun and The Riviera Maya are receiving thousands of tourist every week. But we must realize that on vacations many people don’t take the same care of its health. Tourist looks to relax at the beach, enjoy the hotel amenities, food, drinks, pool parties and much more. Tour activities with a moderate physical effort could be an excellent way to get active during vacations. 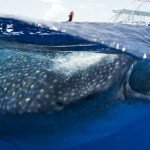 The whale shark tour is a top nature tour in Cancun and The Riviera Maya during summer, a god chance to do some exercise and have fun during this unique experience. 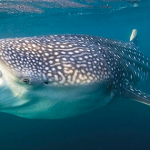 Here you have the 5 healthy reasons of swimming with the whale sharks this summer. 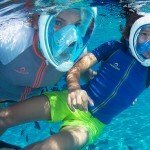 Good exercise: During this snorkel activity you will exercise almost all your body parts without straining your joints. 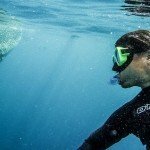 Muscle Strengthening: Snorkeling, with or without fins, is a whole body workout, snorkeling will also burn up calories and help keep you in shape during your holidays. Fitness: Swimming burns about 225 to 425 calories every half hour, probably more if you are swimming with this giant sharks. Relax: Swimming releases endorphins thus helping in relieving stress, combined with the slow motion movements of this giant sharks are the perfect combination. Cool off: Swimming in the open waters of the Caribbean is the best way to cool off hot summer days. If you are interesting in this tour and you have vacations or plans to visit this top destination of Latin America. Don’t miss this tour and do it with the local experts with more than 5 years we guaranteed the best service, 100% safe activity guided by professional. Here you can find more details of whale shark tour or contact us to info@contoyexcursions.com. For more Cancun Tours please visit us.